Since launching in 1989, SEP Events has been at the forefront of event car parking and traffic management. Now the company is taking a big step forward by offering TLT - a new solution that helps ensure you maintain a safe venue. TLT uses the latest in ANPR and NFC technology reporting and combines it with a platform that has been specifically designed with events in mind. 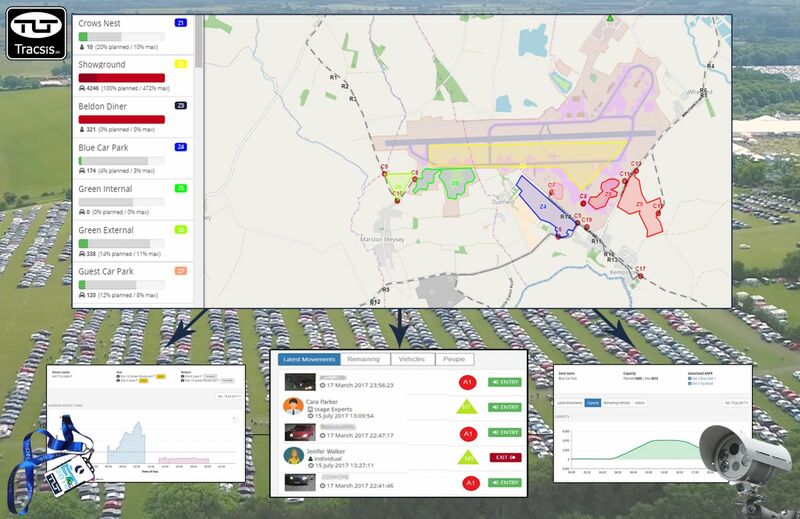 Users of TLT can monitor live vehicle arrivals and departures, access information on car park capacity and zone security as well as discover approach route speeds. TLT also puts journey times, flow rates and much more all at your fingertips. The wealth of information TLT provides means key decisions can now be made based on data which can ensure visitors are given the best possible experience as soon as they turn up. Site security and CDM regulation modules also allow contractors, staff or exhibitors to pre-register their arrival so as soon as they turn up at the event, their accreditation is quick and effective. From then on, live records of who is on site at any given time are maintained using NFC technology. At this year’s show SEP will be holding a prize draw! You can enter it by following the link below, which also will ensure you get information on TLT in advance of the show.